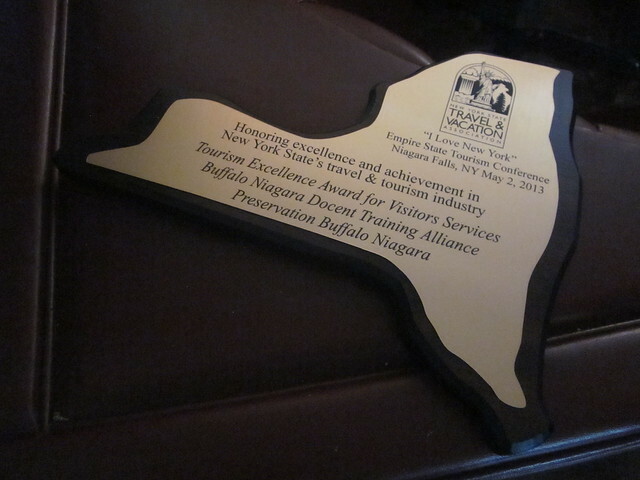 One of the major programs I coordinated at Preservation Buffalo Niagara–the Buffalo Niagara Docent Training Alliance–just won the 2013 Tourism Excellence Award for Visitors Services! I wrote and submitted the nomination in March. The awards are given out by the New York State Travel & Vacation Association and co-sponsored by the NY Department of Economic Development (the “I Love NY” people). 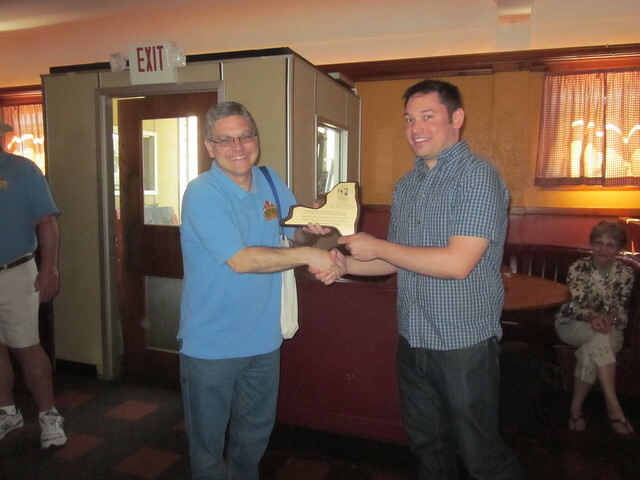 Here is Todd Mitchell “presenting” the award to me today. As part of the program and a long-time volunteer, he won the award too. The “award ceremony” above took place today at a going-away party in my honor. 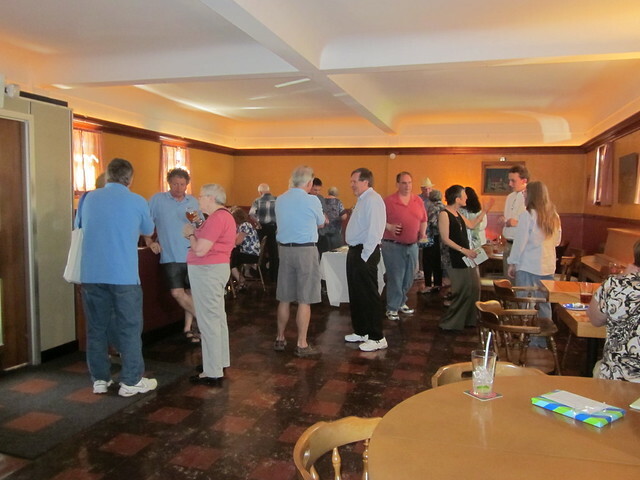 It was organized and attended by about thirty docents. Thanks to everyone who showed up and brought food, gifts, and well-wishes! 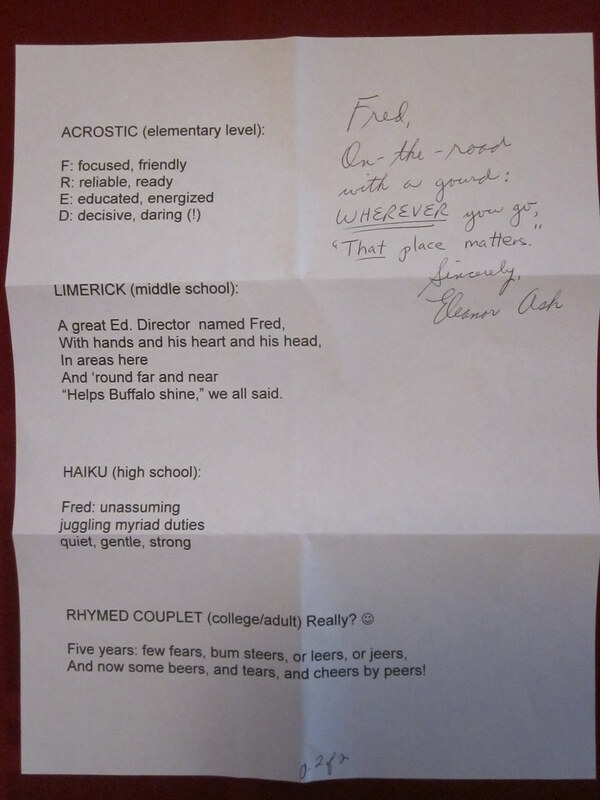 I recommend checking out Eleanor’s poetry. It’s been a good week for awards. Just the day before, Denise Prince won the 2013 Beacon Award for Tourism Volunteer of the Year. This was another nomination I helped put together, with Visit Buffalo Niagara. Denise has worked with me for the past eight years and this year we were Tour Committee Co-Chairs for the Society of Architectural Historians National Conference. Here is her award video. 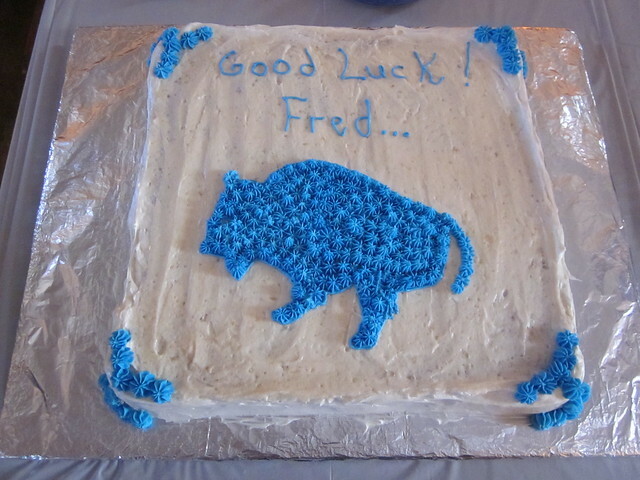 This entry was posted on May 6, 2013 by Fred Schrock. It was filed under Uncategorized .